The First Responder Network Authority (FirstNet) was created by Congress in 2012, following recommendations from the 9/11 commission. FirstNet was given the mission of building, deploying and operating the first high-speed, nationwide wireless broadband network with spectrum dedicated to public safety. In Vermont, the Public Safety Broadband Network Commission (PSBC) was formed by Governor’s Executive Order in 2013 to act as a guiding group to prepare for the Nationwide Public Safety Broadband Network (NPSBN). 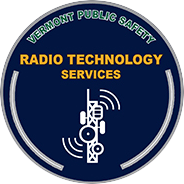 The PSBC is administratively supported by the Department of Public Safety and functions within Radio Technology Services. The Vermont liaison group includes a Single Officer designee and program staff. On March 30, 2017, AT&T was announced as the winning bidder of the contract to build the NPSBN. On November 29, 2017, Governor Phil Scott announced his decision to accept the FirstNet and AT&T plan to deliver a wireless broadband network to the state's public safety community. This decision followed a recommendation made earlier in November by the PSBC that Vermont allow FirstNet/AT&T to build the network, rather than the State working to build its own. At the end of the national decision period for states, every state and territory choose to opt-in to the federal FirstNet plan. Email us your FirstNet questions!